In today’s roundup, FXX announces the premiere date for “Archer: 1999” and the “Young and the Restless” will pay tribute to late actor Kristoff St. John. 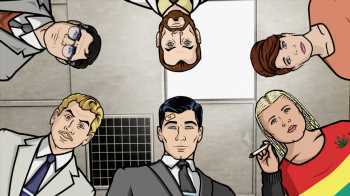 FXX has announced that season 10 of “Archer” will debut on May 29 at 10 p.m. ET. The newest season is called “Archer: 1999” and will take place aboard a spaceship. “The Young and the Restless” will have a four episode arc sending off character Neil Winters, who was played by the late Kristoff St. John. The episodes will air April 23 to 26 on CBS. A tribute episode featuring current and former cast members discussing the life of St. John will also air on CBS on April 29. Crown Media Family Networks announced Monday the promotion of Laurie Ferneau from vice president to senior vice president, development. Ferneau will oversee the development and production process for original movies and series on Hallmark Channel and Hallmark Movies & Mysteries. PREVIOUS POST Previous post: ‘American Idol’ 2019 – Top 10 Conestants Revealed!